Nowadays, when the mass media talks about Bitcoin and cryptocurrency, they usually report what happens on the major exchanges, like Binance and Coinbase. However, there is another hidden pool of Bitcoin trades happening all over the world: the buyers and sellers directly negotiate for a price and trade directly, online or offline, without an glittering exchange interface to visibly show this trade in real time. 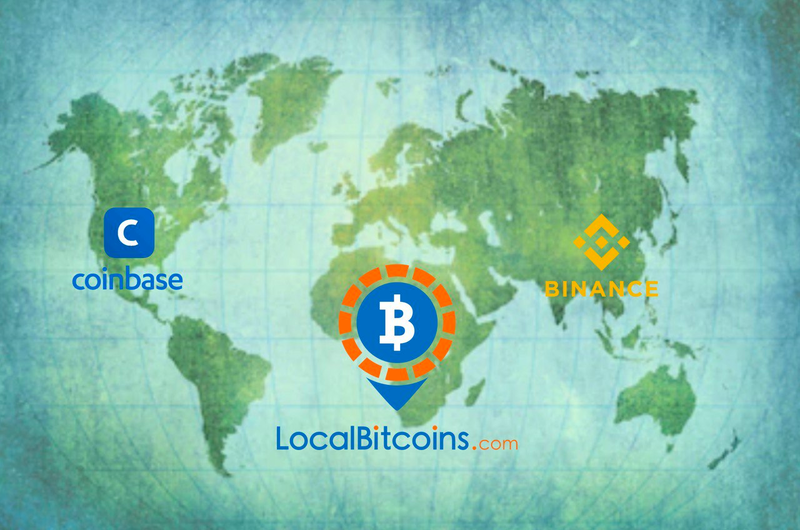 LocalBitcoins.com (LB), with its fairly long history (2012–2019), is a platform for this type of trades. Since these trading platforms are not under the spotlights, it would be very interesting to compare what happens on LB to other major crypto exchanges. How does LocalBitcoins.com (LB) Work? LocalBitcoins is a bitcoin startup company based in Helsinki, Finland. Its service facilitates over-the-counter trading of local currency for bitcoins. Users post advertisements on the website, where they state exchange rates and payment methods for buying or selling bitcoins. Other users reply to these advertisements and agree to meet the person to buy bitcoins with cash or pay with online banking. LocalBitcoins has a reputation and feedback mechanism for users and an escrow and conflict resolution service. As of December 2013, LocalBitcoins has around 110,000 active traders with a trade volume of 1,400–3,000 bitcoins per day. Due to this similarity to craigslist, on which people advertise and trade stuff for their daily life, by investigating on the Bitcoin trading behavior on LB, we may get a glimpse of what role Bitcoin plays in the “slower” world, especially in those countries/regions where there are no well-established Bitcoin trading infrastructures, where high frequency trading flashboys and market trend speculators are gaming with one another. Exchange trading is visible, real time, sometimes leveraged, susceptible to fake trades (e.g. printing the tape), and largely globalized. On the other hand, retail over-the-counter (OTC) trades are slow, partially visible, and are largely localized. To demonstrate and quantify these differences, we first compare the snapshots of these two markets for general ideal of what a “typical” exchange market and a retail market look like. After that, we take a dynamic view to see how these markets changes as Bitcoin experiences booms and busts. Not surprisingly, the recorded exchange trading volumes is much higher than the retail trading volumes on LB. 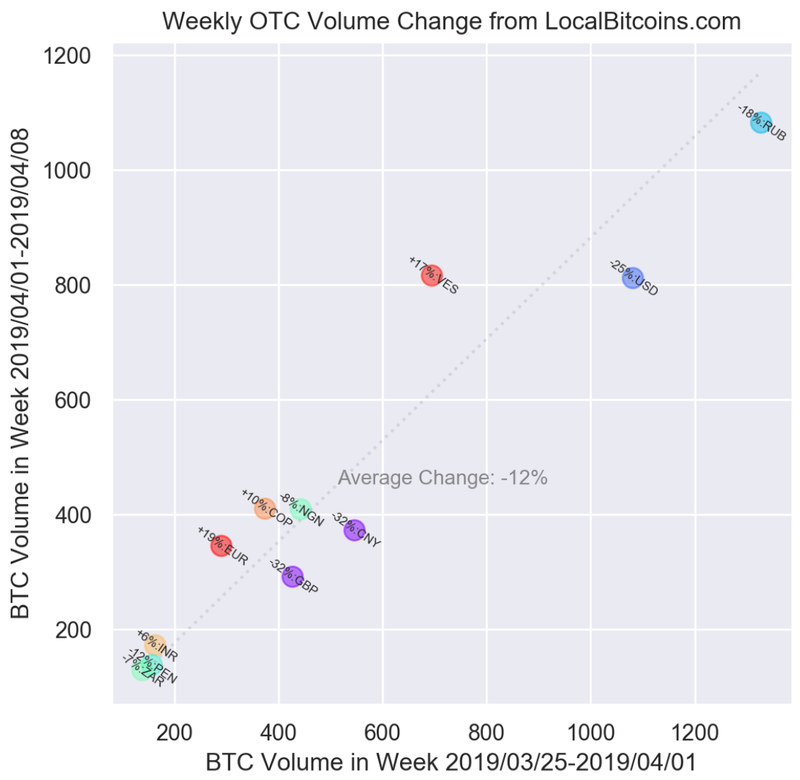 The plots below visualizes the average daily volume of Bitcoin during the week 2019/04/01–2019/04/08 on LB, and the snapshot of 24h-volume (Bitcoin-to-fiat trades) on 2019/04/08 on coinmarketcap.com. Even if we take into consideration that recent research by websites like BitwiseInvestments and BlockchainTransparencyInstitute that more than 90% of the volumes are fake, we still observe a 2~3 order of magnitude difference between the two, which is enormous. 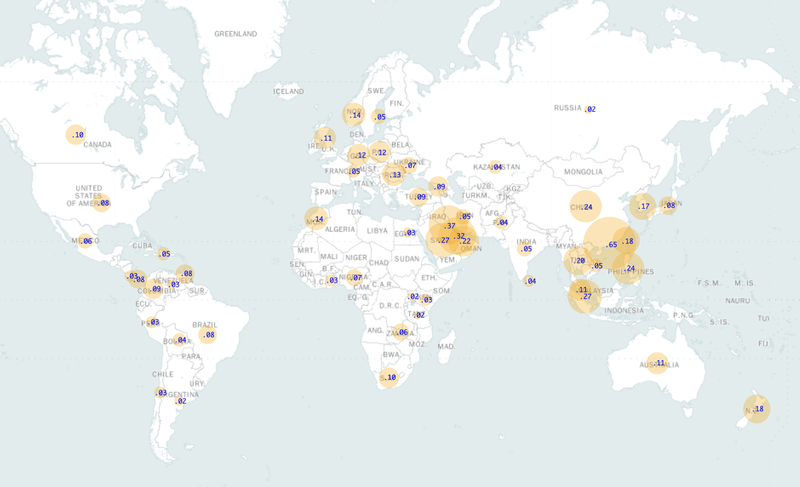 Average daily Bitcoin-to-fiat trading volume recorded on coinmarketcap.com, grouped by fiat currencies, labeled on each country. A more interesting observation, though, is the distribution of the volume of trades. It seems that most exchange trades happen between Bitcoin and the fiat currencies issued by more economically advanced countries. Unsurprisingly, people in these countries do not have to use Bitcoin, because their economies and currencies are typically quite robust. Bitcoin, to them, is more like an investment, a speculation, or a bet on the future trend. Note that in this article, we use Germany as a representative of the entire Euro Zone. On the contrary, on LB, the largest volume happens in countries with large population, yet with less-stable local currencies, e.g. Russia, Venezuela and Nigeria. This is probably partially due to the lack of well established exchanges, but also partly due to the need for local people to get their hands on Bitcoin due to the unstable local currency. We can further extend this argument by looking at the trade sizes and number of trades. Average daily trading volume by country, top 15, ranked from high to low. Technically speaking, transactions on LB is a form of over-the-counter (OTC) trades: buyers and sellers negotiate a price for a lump-sum transaction. However, not all OTC trades are created equal. The OTC platforms affiliated with some large exchanges usually offer relatively large-sized bids and offers. For example, on Huobi OTC, the dealers very often offer to trade a few or tens of Bitcoins. On the other hand, LB typically only offers sub 1 BTC opportunities. The former can be categorized as “wholesale”, while the latter aptly as “retail”. 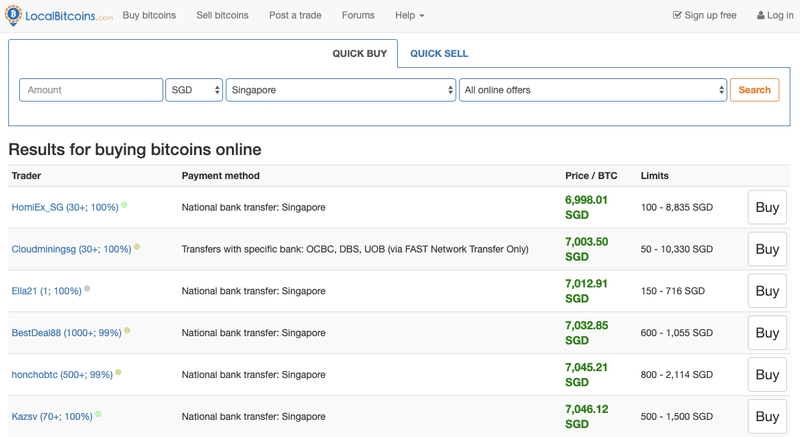 Snapshot of LocalBitcoins BTC/SGD top buy book: the bid sizes are typically < 1btc. While we visualize the LB average trade sizes on the map below, it is quite clear that on LB, the trade sizes are generally quite small. 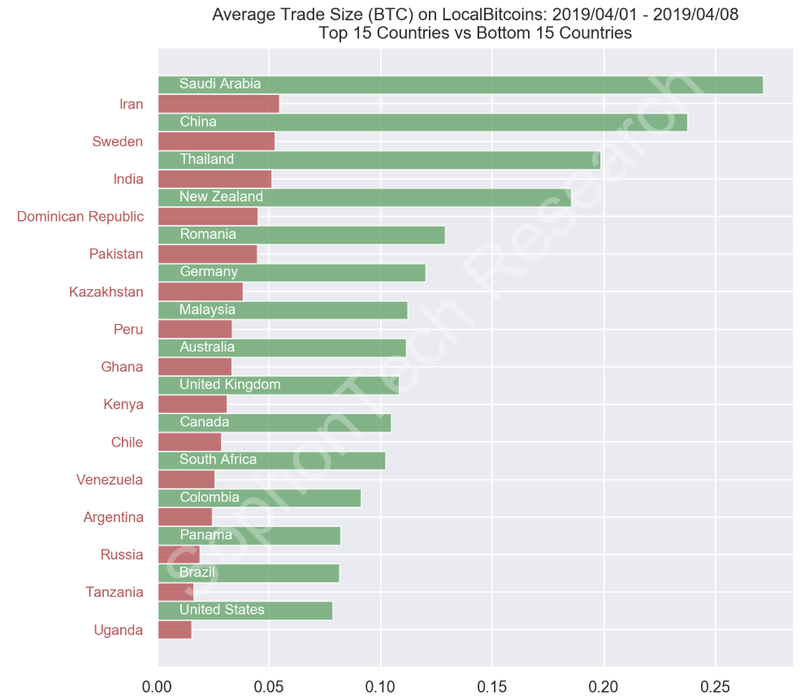 In most countries, the sizes are 0.0x BTC, and for some more wealthy countries, the sized can be slightly larger, up to the 0.x BTC level. Next, we directly juxtapose the top 15 countries in average trade size vs the bottom 15 countries (all with weekly number of trades greater than 100). It turns out that relatively wealthy countries (strictly speaking, countries with more wealth people) trade with larger sizes, and economically challenged countries trade with much smaller sizes. This coincides with our intuition. These facts indicate that trading on LB may serve a totally different purpose than trading on major exchanges. It seems to correlate more with local economy and currency, rather than the price fluctuations of the Bitcoin market. In less developed countries, people usually exchange goods with less real values, and hence the smaller-sized Bitcoin transactions, therefore the smaller trade sizes. This conjecture can be further validated by the number of trade chart below, in which the most frequent trades happens in Russia, South America and Africa. 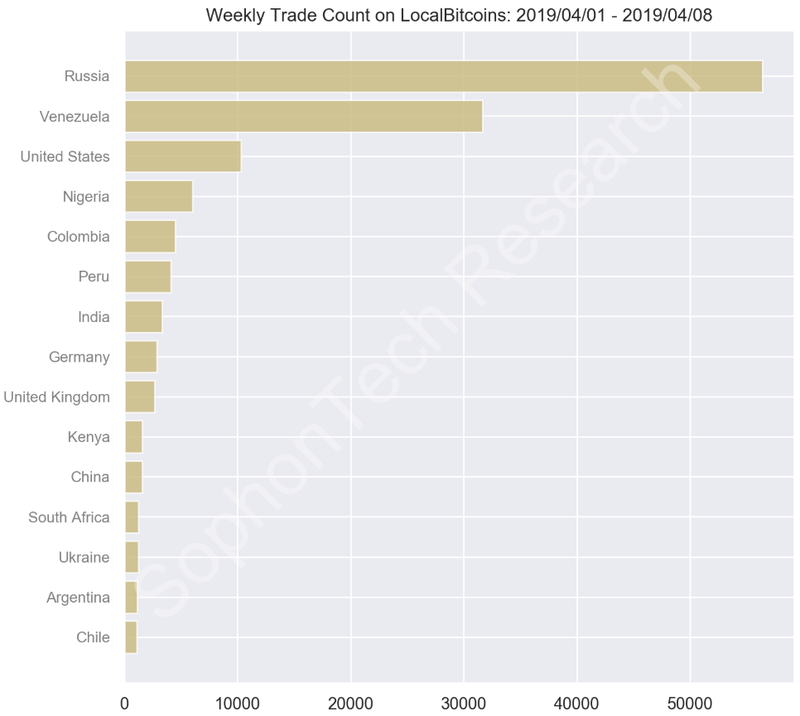 Number of trades on LocalBitcoins.com in the week from 2019/04/01 to 2019/04/08. (2) In a short period of time, when the price of Bitcoins jumps up, the trading volume should jump down instead of up, because the volume is determined by notional value rather than the number of Bitcoins: more expensive for each coin, less total number of coins needed to be traded. We will verify/falsify these deductions in the next section. Make a guess, how much did the Bitcoin volume on LB increase after the Bitcoin jump on 2019/04/01 PDT? 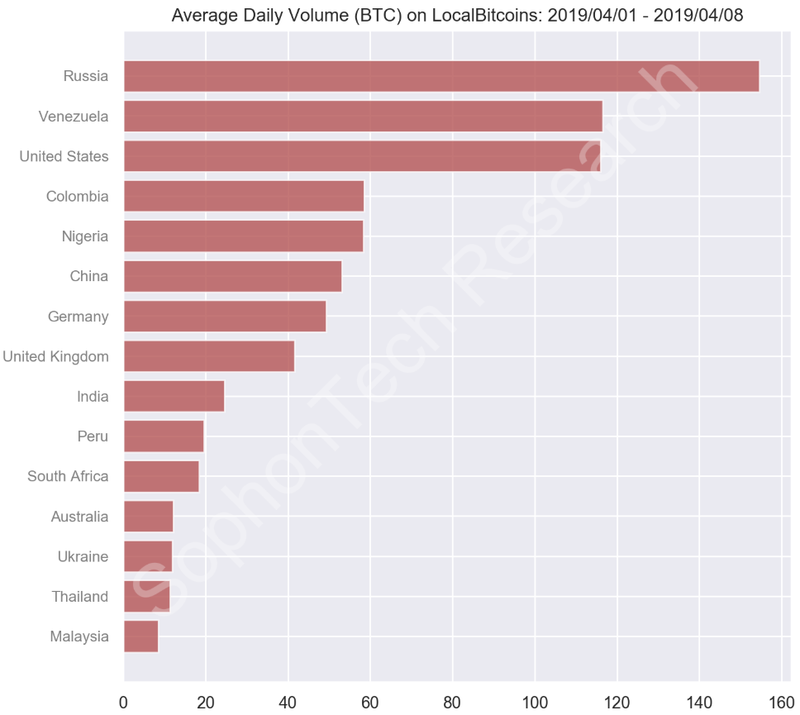 A hint: the volume of BTC/USDT on Binance, the largest crypto exchanges in the world by volume, more than doubled up in the week following 2019/04/01. Comparison of Bitcoin Trading volume in the week before and after the Bitcoin Jump on 2019/04/01. In most countries, the volume decreased, and on average the volume decreased by 12%. More interestingly, this 12% volume increase happened to compensate the Bitcoin fiat price increase, as if the market scale is somehow pegged by a certain fiat amount. This is a strong indication that these trades were not for investment purpose, which mostly likely should increase dramatically. It is true that in some countries, the volume did increase (e.g. Venezuela), but in general, there is no increase in volume across the globe. It is rather strange that an enormous tsunami on the Bitcoin exchanges did not affect the trickles of the Bitcoin retail market at all. Furthermore, does this phenomenon still hold true on a larger time scale? In the past five years, Bitcoin experienced multiple booms and busts. This is also reflected in the GoogleTrend keywords: LocalBitcoins and Coinbase. This is a good pair for comparison because both companies were founded in 2012, and are very well known and used in the fiat-crypto trading world respectively. 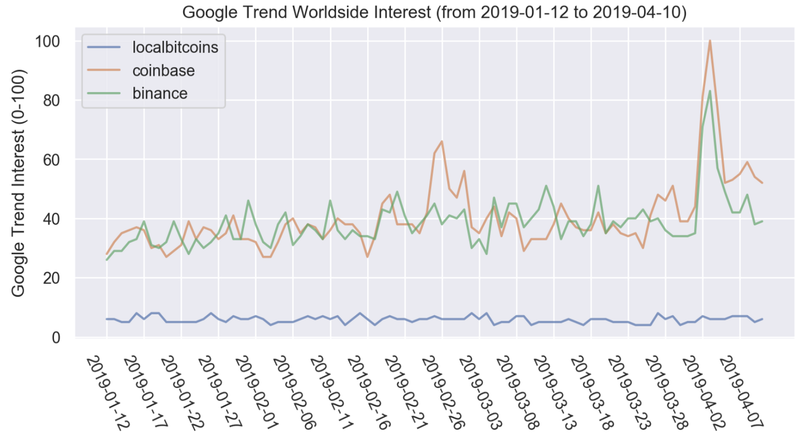 GoogleTrend interest over time for LocalBitcoins: the 2017–2018 boom and bust is visible, but LB keeps a solid base interest even after the incidence. GoogleTrend interest over time for Coinbase: the 2017–2018 boom and bust is much stronger than LocalBitcoins. It is clear that LB GoogleTrend interest has not been affected by the price jump on 2019/04/01 at all, not even a small bump, whereas the interest for Coinbase more than doubled. This is another strong cross-validation to our previous claim that volume from major exchanges are more related to speculation, whereas volume on LB are more of a reflection of practical needs. Ironically, it seems that most of the advanced Bitcoin Exchange infrastructures built in the developed world are used mostly for investments, speculations, and even manipulations. On these exchanges, Bitcoins serves more or less like commodities, only with even larger volatility. On the other end of the spectrum, where people trade with very rudimentary means, are actually where Bitcoin infrastructure is more needed. Those are the people who live in an unstable economy and hyper-inflated currency like Venezuela. 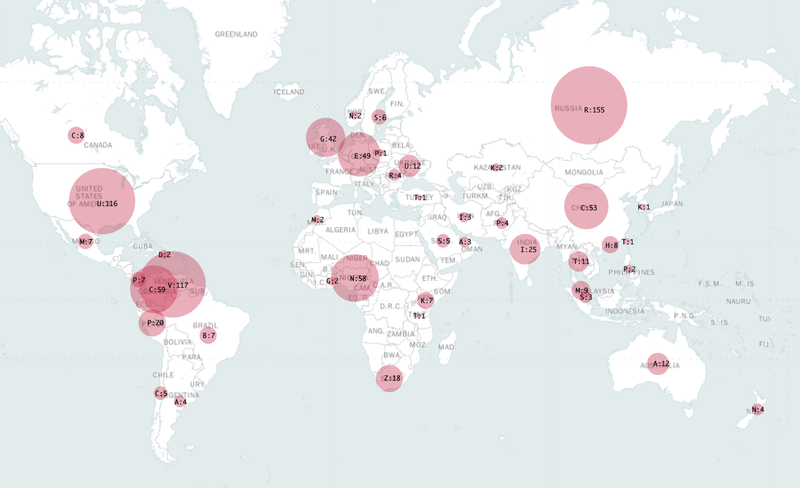 Retail market, as represented by trades on LocalBitcoins.com (LB), is 2–3 order of magnitude smaller than the volume on major crypto exchanges. People in these local markets tend to trade in smaller sizes, and the people in less economically stable countries trade more frequently. The price swing of Bitcoin on major exchanges does not swing the volume of trades in the retail market, indicating that retail trades are less likely to be related to speculation activities. About the Author: SophonTech Inc. is a technology-driven company that provides solutions to cryptocurrency software and quantitative research. Legal Disclaimer: SophonTech Inc. is not an investment advisor, and makes no representation regarding the advisability of investing in any security, fund, token, derivatives, physical assets or any other investment vehicles. All SophonTech Inc. materials have been created solely for informational purposes based upon public information from sources generally believed to be reliable. The data and analysis demonstrated do not represent the results of actual trading/investing. I reveal the untold truth from data. SophonEX is a digital asset platform, aiming to make cryptocurrency investing safe, smooth and smart. The company is Singapore registered and venture backed, with a R&D team in Silicon Valley, make up of digital natives.